It’s going to get warmer this week! No snow! We promise! According to weather.com, the forecast for this week includes highs in the 60s and lows above freezing to go along with five straight days of sunshine. This is much welcomed after the kind of spring we’ve had in NE Washington, but it’s five to 10 degrees above normal. This should result in an increase of snow melt loss in the Inland Northwest in the lowlands and field flooding. This warm up may signal the complete switch over from winter, which has lingered around with significant snowfall in March and lower than average temperatures. 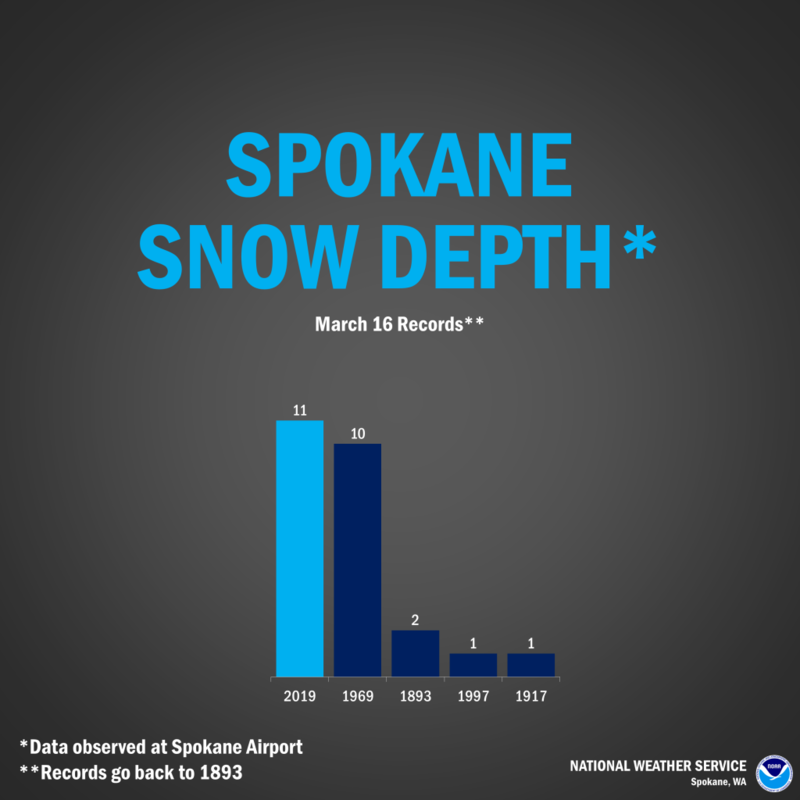 Spokane set a record on Saturday for its record snow depth. Wednesday, March 20, will be the warmest day of the week with a high of 61 degrees while Tuesday and Thursday will also be in the 60s. Monday and Friday will be in the high 60s, while Saturday and Sunday will see temperatures dip down to low 50s. Melting means flooding and being proactive measures can greatly reduce flooding damage and anger. Stevens County Emergency Management Director Jim Caruso and Habitat for Humanity have teamed up for a sandbag program. At the end of this week, Habitat for Humanity in Colville hopes to have sandbags for filling available as well as designated sand pits where people can fill their bags. Habitat is asking for volunteers for sandbag filling parties for people who cannot fill themselves. If you want to be placed on a list of available volunteers, please email your name and contact numbers to Ian Pickett at ian@habitatcolville.org. A Good Chance of Field Flooding: If you live in an area that has over a foot of snow on the ground and you typically experience field flooding, there is a good chance that some field flooding will occur. Fields that typically drain poorly will have the greatest potential of experiencing standing water as the snow melts. A Good Chance of Rises on Small Streams: Streams fed by low elevation snow melt will experience rises this week. Some minor flooding will be possible. Some roads that are frequently closed due to field flooding may be impacted next week. A Low Chance of Ice Jam Flooding: Rivers that are ice covered will likely experience break up as temperatures warm and runoff brings rises to the rivers. Forecasting ice jams is difficult, but at this time rapid river rises causing a sudden break up of river ice is not anticipated. A Low Chance of Flooding on Rivers: Through the end of this week, the threat of flooding on mainstem rivers will be low. Rivers like the Coeur d`Alene, the Spokane, the Palouse, and the Okanogan are not expected to approach flood stage through the end of the week. Current base flows are quite low at this time. Rises will occur, but river channels have room to accept runoff from melting snow. Long Term River Outlook: Melting our low elevation snowpack is necessary to mitigate significant flooding in the upcoming weeks. If a good deal of our low elevation snow decreases gradually during the next 1 to 2 weeks, the situation will improve as we enter our typical higher mountain runoff season (mid April through late May).